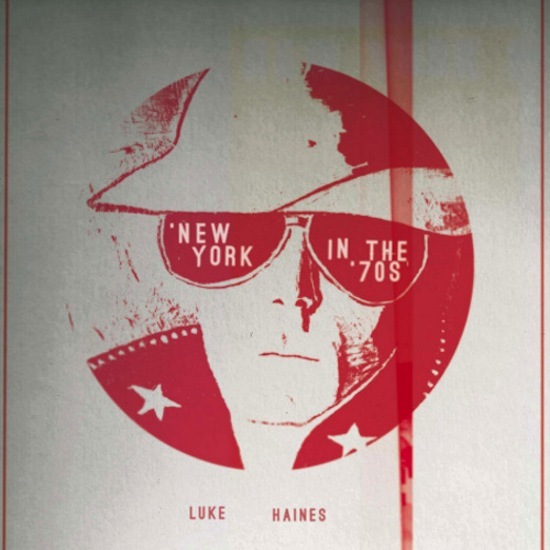 Tag Archive | "Luke Haines"
An album of fictional historical events featuring songs by two of music’s grumpiest men and a narration by an Australian journalist isn’t likely to be everyone’s cup of tea. 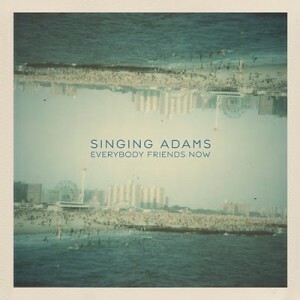 However, we liked it so much that it sneaked in as a late entry into our albums of the year chart. Even though I had enjoyed the recordings a lot I was curious to see how the album would work as a live performance. And a performance is what this was, it wasn’t a gig in the conventional sense. 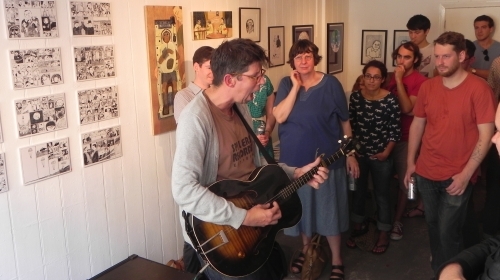 There was no support and the entire album was performed in order including Andrew Mueller’s spoken introductions to each song. The musical line-up was Luke Haines on guitar, Cathal Coughlan on keyboards and Audrey Riley providing cello accompaniment. As with the album Haines and Coughlan sing their own songs, but seeing them play instrumentation on each others songs made the set seem more unified. This isn’t a close collaboration like St.Vincent and David Byrne but seeing the album performed live make it seem more cohesive than on record, especially as Mueller (a bashed gavel between each song) ties the performance together. 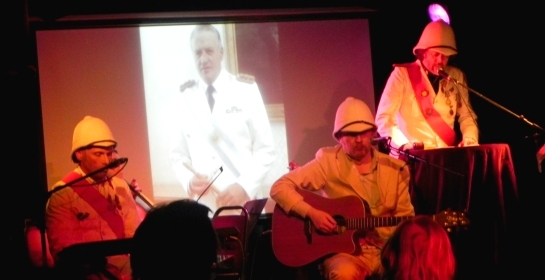 The three men are dressed in white suits and pith helmets, their musical underground tribute to the Raj, and this adds to the absurdity of the performance. 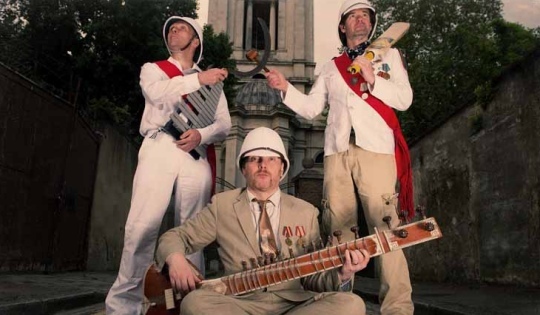 Performed in character, there are no words between songs, they make their stories seem deadly serious even when they concern Chris Evans, Ian Bell from Gomez or an Australian IRA tribute act. 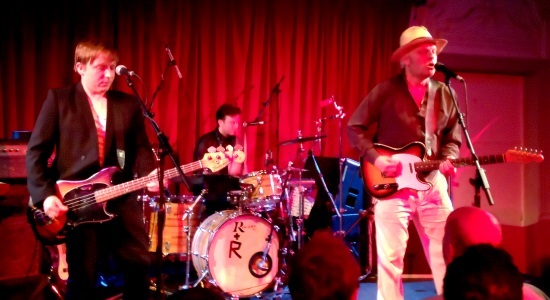 Luke Haines is in the middle of a bit of a purple patch and his songs on the album continue in the same vein as his wrestling exploration from 2011. He has received the lion’s share of the attention in reviews of the album and it is true that his songs are the more immediate and obviously witty on the album. ‘Broadmoor Delta Blues’ is a particularly enjoyable track and starts the show and album brilliantly. 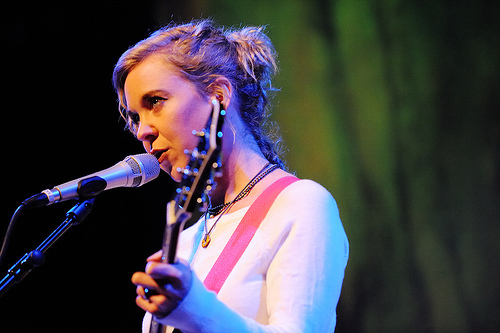 However, Coughlan’s songs have as many merits even if they take a little longer to sink in. In live performance his songs sound even better, his voice being a striking instrument with some power. Just as on the album it is the contrast between the two artists style and voices that make then set so satisfying. As a whole the album works brilliantly as a live performance piece and I hope the two artists will unite to present more discoveries from history in the future. There’s plenty of rubbish books about music out there. Hatchet jobs, cobbling together a potted history of a band that adds nothing to understanding their music. But once in a while a real gem comes along, offering a different, sometimes personal take on the music industry. Here’s ten of the best music books around that are not only a good read but offer the reader the chance to really get to know the subject matter. Lester Bangs is a legend among music writers, portrayed by Phillip Seymour-Hoffman in the film Almost Famous and died tragically at the age of 33 in 1982. For some he is one of America’ best writers, it just so happens that he wrote music reviews in the likes of Rolling Stone rather than novels. Perhaps his best trait is that he wrote about how music made him feel, rather than whether it will be a hit. Among the highlights here are his review of a Barry White gig recounting the grotesque caped image of ‘bulbosity’ wandering around murmuring about “lurve” in a hundred different ways. His time with The Clash on tour in 1977 is another high point, as is his arguments with Lou Reed and thoughts on John Lennon’s death. “Did you see all those people standing in the street in front of the Dakota apartment where Lennon lived singing “Hey Jude”? What do you think the real — cynical, sneeringly sarcastic, witheringly witty and iconoclastic – John Lennon would have said about that?” This excellent collection of Bangs work is a must for all music fans. What started off as a look at the explosion of folk rock bands in the late 1960s and early 1970s soon turned into an epic exploration of UK folk music taking in the Victorian era through to the modern day; from Vaughn Williams to David Sylvian and Holtz to Talk Talk. While the musical forms of folk music differ, all those featured in this weighty tome have the same attribute in common; a desire to find Albion in music. It is the golden era of folk that Young started to explore that still dominates this book, but by turning the very notion of folk music on its head and spanning multiple generations of musicians Young has created one of the most absorbing, clever and inspiring books about British music. 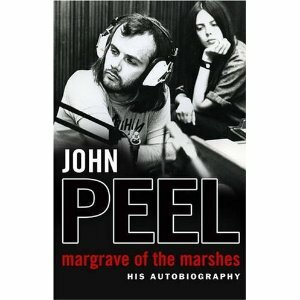 John Peel died while writing his autobiography. He’d barely got started, reaching about 1960 and the beginning of his life as a DJ in the US. His widow Sheila takes over the story from there and what follows is as much about the couple as the DJ and the history of alternative music over the last 40 years. Even though the bulk of the book is told from Sheila’s view, it is pure Peel. She knew his thoughts on the future of British radio and music better than anyone. There’s some great stuff here. The couple’s friendship and fall out with Marc Bolan and the later years when Peel started recording his show at home. The anecdote about the many members of Belle and Sebastian performing across the house for one of the legendary Peel sessions is particularly endearing. 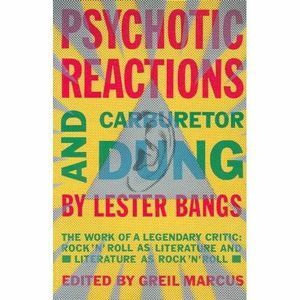 While Lester Bangs writes about how music makes him feel Reynolds takes another tact, how music is influenced by and influences society. This is his take on that largely unwritten part of music history 1978 to 1984. 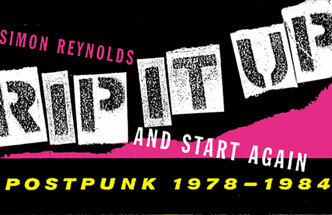 The over analysed punk of 1976 to 1977 is just the beginning for him and the story is particularly insightful of John Lydon’s musical influences, reggae and even prog rock that was so despised by the early punks. Across the book, there are thoughts on Devo, Pere Ubu, Magazine and others. Often it is tales of missed opportunities, of pretension and of artists failing to live up to expectation like Vic Goddard of Subway Sect and Howard Devoto of Magazine. 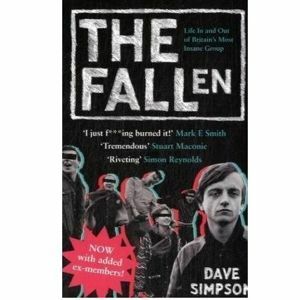 The Fall fan and journalist Simpson’s attempt to track down all 50 plus members and ex members of the band almost ends up destroying his life. It’s a tough job, which he miraculously pretty much achieves. What emerges is a bizarre picture of life working for and with Fall frontman Mark E Smith, which at times, according to Simpson’s book, is like working in a Victorian factory, with Smith as the mill-owner. Simpson even gets to interview the man himself but it is the memories of the more recent members plus the infamous fight on stage in New York where Smith ended up sacking the entire band that are among the true highlights. 6. 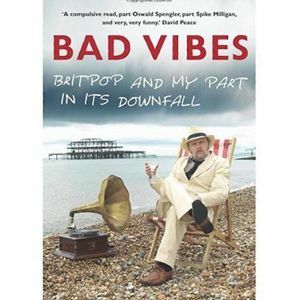 Luke Haines – Bad Vibes: Britpop and My Part In It’s Downfall. As lead singer with the Auteurs Haines’ reluctantly found himself part of the heady time of Britpop in the mid 1990s. This stunningly written and above all funny look back of that time is full of vicious musings about those around him. For us at Neonfiller we particularly like the recurring appearance of Noel Gallagher, who annoyingly for Haines turns out to be a nice bloke despite his “mindless northern bluff”. Others to get a tongue lashing including Radiohead’s Thom Yorke – “that most heinous of creatures, a heavy rock outfit, fright-wig and all” and Blur – “those habitual bandwagon jumpers”. It’s the classic tale of a nearly man of modern music, who while convinced of his own genius is painfully aware of his own failings. 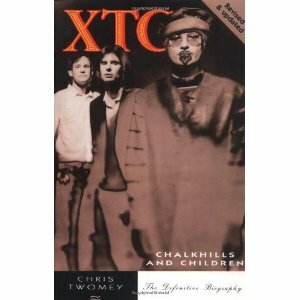 The story of XTC is one of the most interesting in modern music. 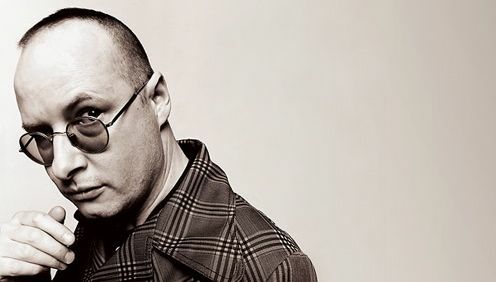 The band of friends from Swindon, driven by the songwriting genius of Andy Partridge, who are to this day one of the UK’s most beloved bands despite never reaching the commercial success their talents deserved. Poor management and business decisions coupled with Partridge’s crippling stage fright, which prevented them from touring from 1982 just when their album English Settlement and its global hit single Sense Working Overtime were about to propel them to the big time. They soldiered on for another 18 years producing critically acclaimed albums but sinking further into a Kafka-eque music business hole that included going on strike from their label Virgin. All of this is told wonderfully by Chris Twomey who interviews the band, their producers and those that know them. Most of the band’s members still live in Swindon making them the George Bailey of modern music, full of talent and wonder but never able to leave the town their grew up in. 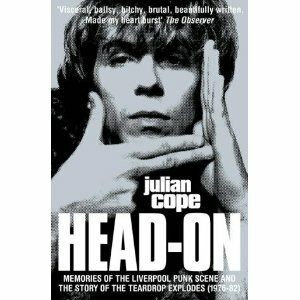 Head On is the story of Julian Cope’s discovery of the Liverpool punk scene and his subsequent adventures as an (almost) pop star with The Teardrop Explodes. 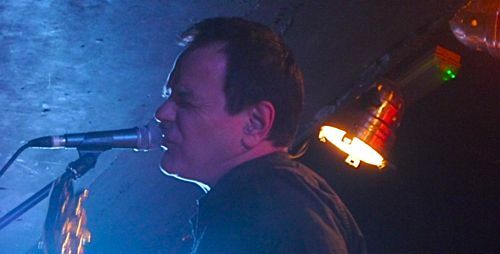 His drug-fuelled adventures with the likes of Echo and the Bunnymen, Bill Drummond and David Balfe (the subject of Blur’s ‘Country House’) are hilarious and often astonishing. Cope proves to be a very accomplished writer and his honest account of his own, very flawed, personality make this book a compulsive read. The book now comes packed with the sequel, Repossessed, a worthy if more downbeat successor. 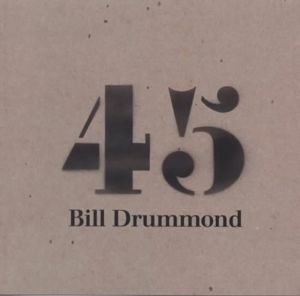 45 is the age that Drummond reached when he decided to write this series of memoirs, it is also the speed of a 7-inch single. The bulk of the memoir tells of his days as a man who was obsessed with nothing more than the pursuit of a hit single. Drummond is a witty writer, and his life has been interesting enough to make these tales into real page-turners. The best bits are the descriptions of his time with the KLF and the K Foundation as they attempted ever more outrageous stunts. There’s a real sense of sadness as Drummond looks back and is filled with real doubts about what he has achieved. 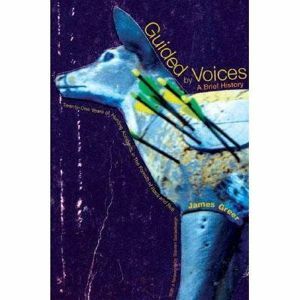 Guided By Voices are the ultimately indie-rock act. They have produced dozens of albums, recorded many of them (quite literally) in a garage and have a strong cult following. They have also been a fairly insular act, not touring for many years and rarely appearing in interviews. Pollard himself being far too busy writing and recording to do much else. 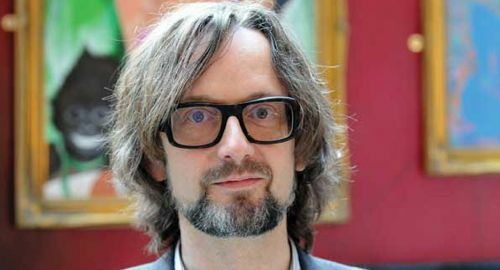 Greer has a unique insight into the band being both a fan and also one of the revolving cast of players in the bands 21-year existence. He is also a music journalist and his writing on the band is of a very high quality. The book deals with Pollard as a songwriter and also the band as a group of friends who meet and drink in a garage in Dayton Ohio. The stories jumping backwards and forwards between the bands final tour and their inception when Pollard was a 30-something school teacher are consistently engaging and have a pleasant, personal feel. Editors Note: This is an updated version of a list that first appeared in Neon Filler in 2009. Since then we’ve realised we should have included Chris Twomey’s Chalkhills and Children due to it being such a compelling tale of a band that never quite fulfilled their potential. 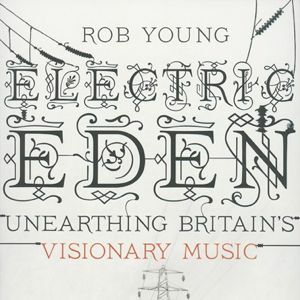 We have also since read Rob Young’s Electric Eden. This fascinating look at British folk music is a deserved new edition to the list. 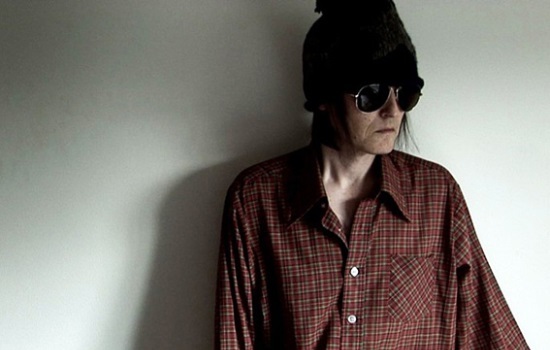 Outsider/In is the closest thing you’ll hear to a Luke Haines’ ‘Greatest Hits’ package. 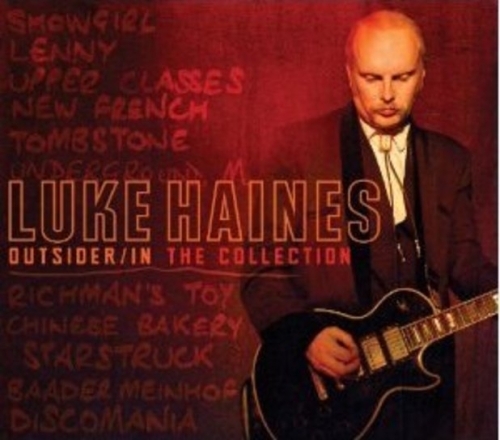 He has very few songs that could be classed as hits but, unlike the demo and b-side heavy Luke Haines Is Dead collection, this two CD set is made up of singles and album tracks from across his career. Whilst this more straightforward song selection, except for the inclusion of tracks from the The Auteurs vs Mu-Ziq EP, makes it less desirable to anyone who already knows and owns most of Haine’s work it does make for a close to perfect introduction for anyone who is interested in checking him out. What is interesting in retrospect is hearing what a consistent producer of excellent records Haines is despite his (somewhat self-perpetuating) reputation for sabotaging his career. The Auteurs songs from the New Wave tracks, through the brilliant ‘The Rubettes’ to the orchestral reinterpretations are uniformly excellent. His early solo work is also much better than my memory would suggest and, although I struggle with the whole of the Oliver Twist Manifesto album, ‘The Death of Sarah Lucas’ sounds great. Best of all is the inclusion of a handfiul of tracks from his Baarder Meinhoff project, an album that is criminally hard to track down. ‘There’s Gonna Be An Accident’ must be the funkiest song about German terrorists ever written. 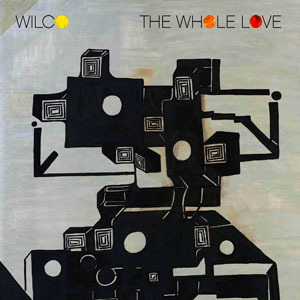 This album isn’t a complete career retrospective, and that is a shame. Add a third disc containing tracks from his last three solo albums as well as his best songs as Black Box Recorder and you would have something just about perfect. 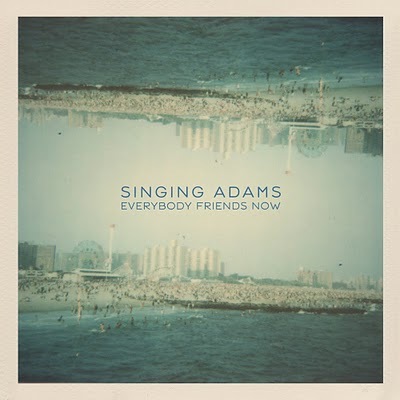 As it is this is an excellent collection of tracks from one one of the finest songwriters this country has ever produced and anyone new to his work could do a lot worse than start here. And I think that most new listeners will be buying the full albums and the two excellent books of memoirs off the back of the experience.